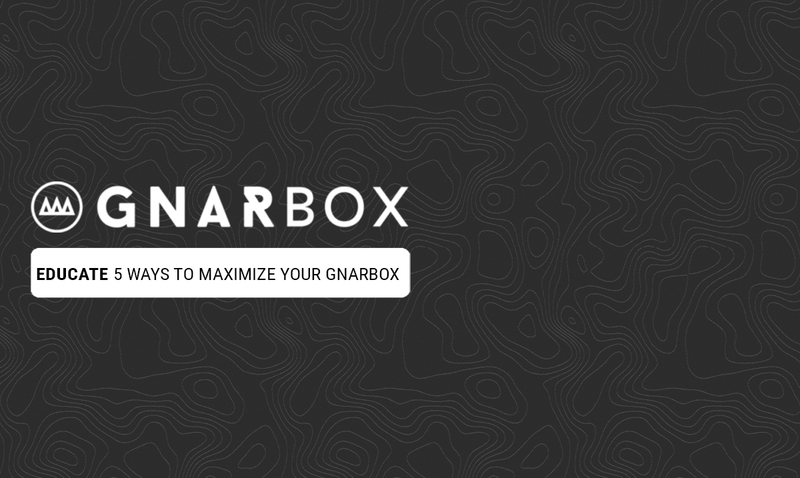 GNARBOX does a lot of cool things, but here are the top five ways to maximize your GNARBOX experience! While editing a video you can swipe down on the screen at any point to place a marker. If you tap the trim on the left of the marker it snaps to set an in point. If you tap the trim on the right of the marker it snaps to set an out point. While scrubbing, you can drag your finger up from the timeline toward the video which will switch you into “fine scrub” mode which gives you more control over your trim. While the video is paused, you can also swipe on the image preview left or right to move frame by frame to get to the finest trim of detail. After finding your point, use the magic marker to get a perfect trim! Re-rack a video - while editing a video you can double tap the video screen to begin playback at the beginning of your TRIM. Reset a photo edit - while photo editing you can double tap the edit bar to reset just that slider. The ability to plug your 2TB HDDs and super speed SSDs into the USB3.0 (the blue one) port gives you the ability to back up without your footage ever transferring to your GNARBOX. Great for sharing footage amongst friends or making secure backup copies of your footage. Did you know you can view the info of all files by two finger tapping within the File view? It allows you to easily see the file name, file type, and resolution, as well as file length for video clips. Tap again to hide the info! Will is the Co-Founder and COO of GNARBOX. Talk to him about Sony cameras, Astrophotography and Drone flight with the GNARBOX! You can see his personal work at instagram.com/w.africano and https://vimeo.com/user55756000.